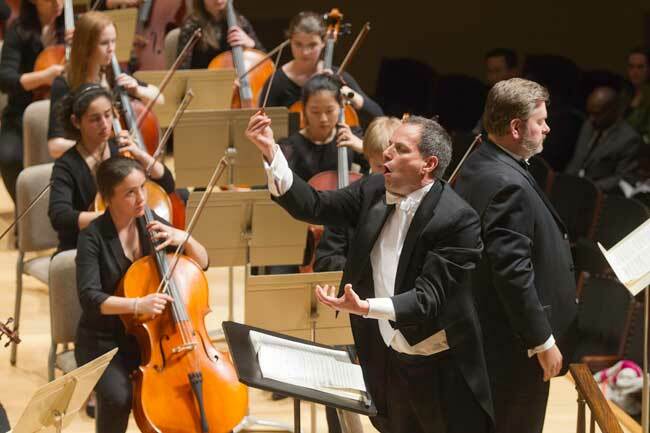 There’s a virtue to experiencing and performing the great works of the symphonic repertoire early and often — to hear the pieces with the experience one has gained since the last listening and to hear something new each time. 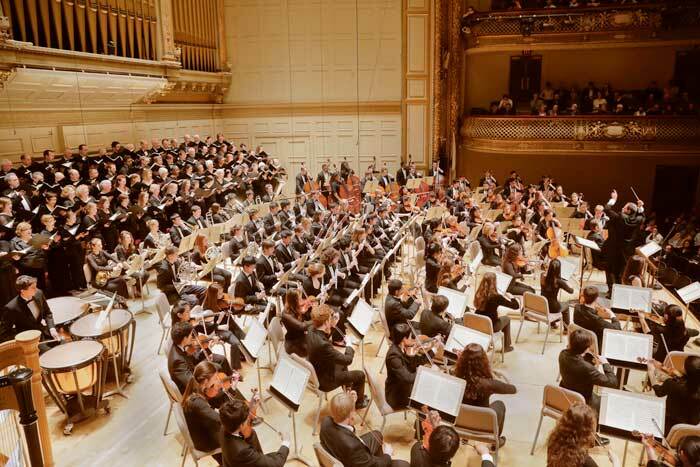 In fact, this was the opportunity afforded by the young musicians of the Boston Youth Symphony Orchestra on the afternoon of Sunday, March 15, at Boston’s Symphony Hall, in Johannes Brahms’s opus 45 Ein Deutsches Requiem. The performance was a fruitful collaboration with the semi-professional Back Bay Chorale. While it remains a shame that teenaged orchestral instrumentalists perform some of the greatest works of the repertoire, yet choir members of the same age so often perform “age-appropriate” choral works (violins and ’cellos, after all, don’t require the passage of time and the thickening of vocal folds to achieve their full range and tone), it is still worth celebrating the introduction of Ein Deutsches Requiem to one group of adolescents, at the very least. Sunday afternoon’s event began with three delightful works performed by the Young People’s String Orchestra (a fact frequently ignored in the billing of the program and — I am guilty of it, too — underplayed in most discussions of the concert). Lead by Marta Zurad, the orchestra engaged first in a setting of the Allegro from Vivaldi’s Concerto for Two Violins, op.3, No. 8, a stormy, technically treacherous work that demanded much from the entire ensemble. In particular, the first violins showed remarkable acuity in negotiating the exposed solo sections. The Mozart Dona Nobis Pacem, a short set of theme and variations, exploited the dynamic limits of the orchestra. Indeed, nothing was lost on the YPSO, as its members not only showed remarkable sensitivity to the various dynamic markings of the work but also demonstrated astounding response to the varied character and the various textures of each of the sections of the piece. The first portion of afternoon concluded with the “Mărunțel” from Bartók’s Romanian Folk Dances. This is a difficult work, incorporating mixed meter and the odd tonalities of folk music, and certainly the most challenging of the three performed in the first portion of the afternoon. Again, the YPSO rose to the challenge, negotiating Bartók’s substantial score with a startling ease and finish. 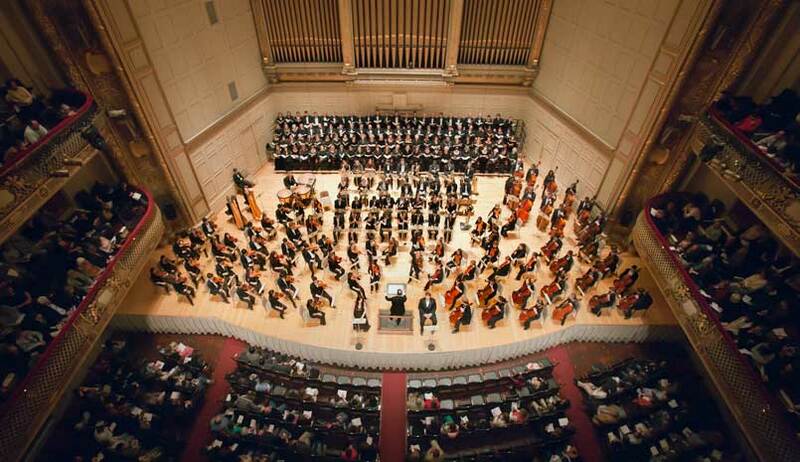 Engaging the more experienced members of the Back Bay Chorale was a wise choice for Ein Deutsches Requiem, performed by BYSO and the Chorale under the baton of Federico Cortese. Prepared by their director, Scott Allen Jarrett (performing as a member of the ensemble), the Chorale presented an even performance of the Requiem, acutely sensitive to its dynamic emotional complexities. Despite tenuous moments in which male voices were exposed, in general the ensemble displayed a complete commitment to the performance, particularly in movements in which the choir played a subsidiary role to the soloist. Particularly effective were the dramatic funereal march of the second movement and the emotional respite of the fifth movement, “Ihr habt nun Traurigkeit.” This is not to ignore the significant work of the choir as a whole, especially in the two major contrapuntal sections of the work. The D-major fugue of the third movement, which too often tends dangerously close to academia, sprang to life; and a positively ebullient C-major fugue in the sixth movement of the work proved a thoroughly effective paretnership between choir and orchestra. Soprano Ana María Martínez and baritone Weston Hurt, who joined the ensembles, are significant forces to contend with, particularly in the substantial parts in the Requiem. Martínez has a radiant soprano with an enormous, effortless range and is graced with precision and tone, albeit sometimes gelid in light of Brahms’s emotional score. Regardless, her voice paired nicely with Hurt’s lyrical baritone that, although rich and resonant (truly a joy to hear), maintained a much-needed precision and direction, the absence of which too-often obfuscates Brahms’s dramatic solo line. Regardless of choir and soloists, it is important to note BYSO’s significant achievement. Certainly a daunting endeavor for any professional orchestra, Sunday’s polished performance of the work is a tribute to the high level of training and commitment of each of the members of the orchestra. The Requiem is perhaps not the most technically challenging work written for the orchestra, but the fact does not imply that it is easy to perform. BYSO illustrated the complex progression of the work with a firm understanding of its emotional foundation, from subdued throbbing motif of the low strings preceding the choral entrance “Selig sind, die da Leid tragen” to the fragile sentimentality of the fifth movement, the bombast of the second and sixth movements, or the triumphant arrival of the final movement. The performance demonstrated the intense attention to detail in the vast variety of textures demanded by the work but also showed emotional prowess on the part of the instrumentalists. Of particular note, of course, are the brass and the woodwind sections, which despite constant exposure throughout the entire work, displayed incredible technical prowess. The achievements of Sunday afternoon’s performance were certainly not lost on the appreciative audience of Symphony Hall (despite multiple cell phone rings throughout the concert), which applauded vigorously after every movement and awarded the performance with a standing ovation. The ensembles complete their 54th season with a series of performances on May 20th, June 3rd, and June 17th. Sudeep Agarwala is a graduate student at the Massachusetts Institute of Technology. He performs with various choral groups throughout Boston and Cambridge.